"Machismo is the idealization of violence as a means, an end, a coercive educational tool—it's a trap that normalizes what is unacceptable." With these words, Lydia Cacho defines the point of departure of this very important book. 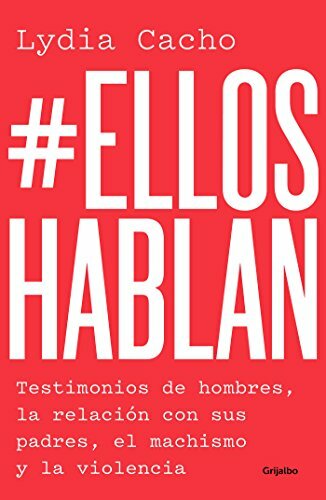 #EllosHablan is composed of the testimonies of several men who talk about their childhood and describe the violence they endured as they were growing up. They show us how, in their hostile home environment, children normalize what will later become vertical relationships that are violent and discriminatory, ones that validate a system of impunity and savage paternalism. Once again, Lydia Cacho goes against the flow as she invites men to look themselves in the mirror and search for an open dialogue in which they speak in order to find the origins of the violence they carry within them. The author invites us to think from a different perspective in order to deconstruct what we call "a normal man." A book that looks to question male leadership and submission in the face of violence so that young children and adolescents will be able to construct their identities from new bases.